Unless indicated otherwise, the maps provided on this site are for your personal use only. They may not be used for commercial purposes or reproduced in printed form or on any other web site without the express permission of the copyright owner(s). 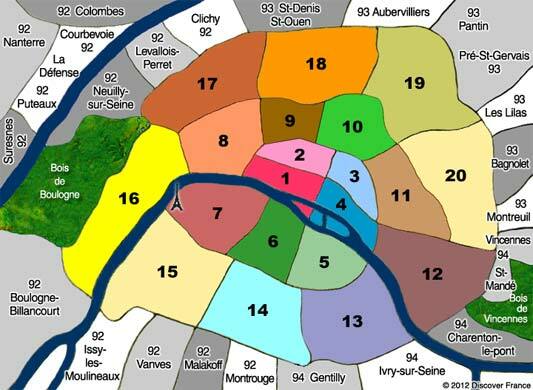 A law passed on 16 June 1859 expanded Paris' arrondissements from 12 to the present 20, due to the annexation of neighborhoods which were once situated between the Wall of the Farmers-General (built 1784-1791) and the Thiers Wall (built 1841-1844). See map. By the early 20th century, the Thiers Wall was no longer deemed useful due to advancements in military technology, and it was demolished in stages (1919-1929). Today's Boulevard Périphérique (1958-1973), considered the boundary between Paris and its suburbs, traces the outline of the former wall's outer zone. The circumference of today's arrondissements 1 through 4 traces the medieval Charles V Wall (built 1356-1383) as expanded by Louis XIII (1633-1636). See map. 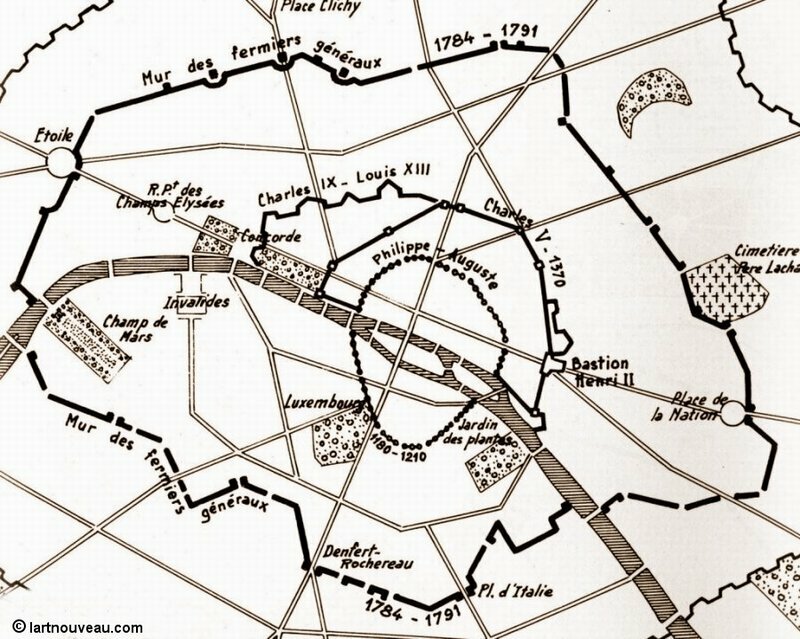 Today's Grand Boulevards (and also the Right Bank portion of Métro line 8) follow the same route as the old walls. * Enclos-Saint-Laurent was renamed to Entrepôt on 7 April 2000 (Article R2512-1 of the General Code). The Perry-Castañeda Library Map Collection, at the University of Texas at Austin, offers views of medieval Paris  plus other cities, French departments, and overseas territories. Collection of useful maps including administrative regions of France, capital cities, and topographic features. Outline maps may be imported into image editing applications for customization. Do you know of a great French map resource we should list here? If so, please submit it!